From 1978-2012, a total of 210 exploration missions was executed based on the crop priorities fixed from time to time, independently or in collaboration with ICAR/ SAU/ International institutes. Ten exploration trips in collaboration with International Institutes namely ICRISAT (3 trips), CSIRO (1), IRRI (2) and IBPGR (4) were carried out. The other national collaborators (ICAR institutes/ SAUs) were ANGRAU, CARI, CPCRI, CTCRI, IIHR, IIPR, IISR, KAU, NRC Banana, SBI, TNAU and UAS-B. So far, 28053 samples were collected from 115 missions conducted during the pre-NATP-PB period, 57 NATP-PB missions and 38 post-NATP-PB missions, of which 695 samples were from A&N Islands, 146 from Andhra Pradesh, 113 from Assam, 2 from Delhi, 183 from Goa, 4,319 from Karnataka, 14,315 from Kerala, 94 from Maharashtra, 2 from Meghalaya, 16 from Puducherry, 29 from Sikkim, 73 from Arunachal Pradesh, 7,821 from Tamil Nadu, 106 from Lakshadweep Islands, 34 from West Bengal and 105 samples from Nepal. In all 2,803 herbarium specimens have been accessioned and are being maintained. Six new taxa namely Curcuma kudagensis, C.thalakaveriensis, C.karnatakensis, C.nilamburensis, C.vellanikkarensis, Piper psuedonigrum and Abelmoschus enbeepeegearense have been described from the station. New reports of extended distribution of the species Curcuma albiflora, C. oligantha and Vigna dalzelliana were made from the region. The unique collections made included Abelmoshcus moschatus subsp. tuberosus (IC417446) – a rare and endangered species, Nephelium rambutan-ake (IC439582 & 439608) – pulasan, superior to true rambutan with an average fruit weight of 50g/fruit and with better shelf life, Garcinia hombroniana (IC439610) – seashore mangosteen can be used as rootstock for mangosteen, cucumber (IC439588) – small white salad landrace, chilli (IC541402) – non-pungent green chilli, sweet gourd (Momordica cochinchinensis - IC541441) – large, rare, wild vegetable. Two medicinal rice varieties (Njavara, Thonnooran) and 12 accessions of 3 aromatic rice varieties (Gandhakasala, Jeerakasala and Kunjunellu and 23 named rice landraces viz., one accession each of Vellamthangi, Chuvanna kuruka, Sulochana, Chettadi, Vella, Vella kodiyan, Mysori, Kattamodan, Nayaruvella, Chuvanthutti, Ulantha, Palakkadan matta, Kunjukunju, Malamutti and Thekkan; 2 accessions each of Chuvanna chitteni, Mundakan vella, Mundaka cheera, Vellaryan, Kuttadan, Aayiram meni and 4 of Karutha njavara were also collected. So far, 4116 accessions of field crops comprising rice (3205accessions) and horse gram (911), 1341 of horticultural crops comprising Chinese spinach (91), Amaranthus blitum (8), A. graecizans (2), A. dubius (15), bitter gourd (15), Chinese potato (33), field bean (47), Mucuna pruriens (15), okra (107), brinjal (174), snake gourd (49), taro (134), elephant foot yam (35), ginger (40), black pepper (85), lesser yam (65) and turmeric (426) were characterised. One hundred and ninety-seven accessions of okra and 7 of taro were evaluated under multi-location evaluation along with crop based institutes. A total of 293 accessions of wild relatives of crop plants comprising Curcuma aeruginosa (31), C. amada var. amada (41), C. amada var. glabra (8), C. aromatica (14), C. caesia (5), C. zanthorrhiza (47), Solanum incanum (23), S. insanum (51), Trichosanthes cucumerina (15), T. lobata (4), Vigna trinervia var. bourneae (3), V. dalzelliana (18), V. marina (1), V. mungo var. sylvestris (7), V. pilosa (1), V. radiata var. sublobata (3) and V. trilobata (21) were also characterised. Among the perennial horticultural crops, 49 accessions of jackfruit, 24 of Malabar tamarind, 9 of kokam and 40 of mango were also characterised. In rice IC256269, IC350702 and IC85809 were identified promising for yield/plant with 18.3 g, 16.3g and 15.0 g respectively compared to the best check Jyothi (12.0 g/plant). NIC017608 was found superior for number effective tillers (33.0), 100 grain weight (2.4 mm) and yield/plant (20.4 g). Landraces Ambaladan (IC203766B), Karakozhivalan (IC203821A), Keeripoothada (IC203823) and Sonebhale (IC248325) were found to be superior to the released variety Vaisak (IC583765) with >10g/plant in grain yield. Eleven accessions Ambaladan, Pularikaru, Palkaima, Karuthanavara, Choman, Kara Kozhivalan, Keeripoothada, Sonebhale, Njavara, Karjath and Thuvinellu were found to be field tolerant to brown plant hopper. In horsegram, IC145306, IC068602, IC071777 and EC027602 were identified superior for seed yield with 6.3, 6.7, 7.0, 7.5 g/plant, respectively. In okra, IC218873 & IC282288 were found promising for fresh fruit weight; IC045806, IC128883 & IC218874 for combining high fruit yield and fruit number/ plant; IC469573 (217.6 g), IC282241 (265.0 g), IC282233 (263.8 g), IC282288 (215.2 g) and IC282278 (206.0 g), were found superior to the best check Arka Anamika (205.0 g) for single plant yield. IC469644, IC469671, IC469675, IC282233, IC128891, IC282288 and IC140902 gave number of fruits per plant above the best check value. In Chinese spinach IC469607 and IC469725 were unique in extra late bolting and robust plant type. In taro, IC343042 was superior for fresh cormel weight and total rhizome fresh weight. In Chinese potato, ten accessions were found superior for tuber weight per plant viz., IC468945, IC468947, IC468957, IC468960, IC468965, IC468968, IC468969, IC468970, IC560845 and IC560846. Second year evaluation of 10 accessions showed that IC468968 tolerated the unusually high rainfall received during this year, with decrease in tuber yield (from 1288 g/plant during 2006 to 155 g during 2007) but with less nematode infestation compared to 2006. In lesser yam, IC560850, IC44282, IC266667, IC560849 and IC87446 were found superior for tuber yield/plant (> 500 g) and IC349861 was superior for tuber length (16 cm), tuber girth (7 cm) and tuber yield (708 g). In Malabar tamarind IC136683, 244086-1, 244097-3, 244100-1 and 244115 were promising with fresh fruit weight and fresh rind weight above the mean of 78.9g and 52.6g, respectively. Dry recovery of the rind of fruit was more than the mean of 7.83% in IC244106-2, 244101-2, 244081-2, 244097-3, 244096-2, 136677-1, 244086-2, 244115, 244101-3, 244110, 244075-1 and 244100-1. In mango, early season ripening and fruit-fly tolerance were observed in IC470615, IC212569, IC470625, IC470630 and IC202209. IC470615 - ‘ullitholyan’, was the earliest among the small fruited sucking types with thin skin. Among the ‘kolambu’ landrace, IC470625, IC470630 and IC202209 were with medium-sized fruits and semi-firm flesh, suitable for table purpose. LTS: A total of 16158 accessions were sent for long-term storage and 1564 accessions to MTS facility for medium term storage at NBPGR, New Delhi. In addition to these, 4233 accessions received from other co-operators were also sent to Germplasm Conservation Division for LTS/MTS. For in vitro conservation/ cryo-preservation, 2149 accessions were sent. MTS: In total, 7685 accessions belonging to 18 genera and 85 species in 27 crops, 7 M&A plants and 51 wild relatives are conserved in MTS facility. This includes 949 accessions of rice received from RARS, Pattambi also. Field Gene Bank: A total of 2482 accessions in 145 species belonging to 44 genera are being maintained in field and pots under the shade, net and poly houses. This includes spices (693 accessions), tubers (589), M&A plants (268), dye yielding plants (60), fruits (217), wild relatives (649) and vegetables (6). In vitro: In total 69 accessions comprising of 3 crops species (cassava – 5, ginger – 8, Chinese potato -1, Alpinia calcarata– 1, A. galanga- 17 and Bacopa monnieri– 23) and 14 accessions of 2 crops wild relatives (Curcuma aeruginosa– 1, C. raktakanta– 1, Dioscorea. belophylla – 1, D. bulbifera – 2, D. intermedia – 1, D. oppositifolia – 1, D. pentaphylla – 3, D. pubera – 2, D. tomentosa – 1 and D. wallichii – 1) are being maintained. Germplasm transfer to crop-based institutes: In all, 1826 accessions of different crops were transferred to crop-based institutes such as CIAH, Bikaneer, Rajasthan; CISH, Lucknow, UP; CTCRI, Trivandrum, Kerala; IIHR, Bangalore, Karnataka; IISR, Kozhikode, Kerala; NRC-MAP, Anand, Gujarat; NRCB, Tiruchirapalli, Tamil Nadu & SBI, Coimbatore, Tamil Nadu. Supply to user agencies: Under material transfer agreement (MTA), supplied 19,049 accessions to various user agencies comprising ICAR institutes (5,399), SAUs (11,287) and other institutions (2,363). A total of 2901 accessions were transferred to the NAGS for maintenance and utilization. Supply for multi-location evaluation: Supplied 1100 accessions comprising 600 of horsegram (100 each from 2005 to 2010) to 3 institutions under the National Network Research Project on Arid Legumes and 500 (100 in 2005, 2007, 2009 and 200 in 2011) of okra in 7 sets to Indian Institute of Vegetable Research, Varanasi under the All India Co-ordinated Research Project on Vegetable Crops for multi-location evaluation. Supply for Chemical Evaluation at NBPGR, New Delhi: Supplied 865 accessions of different crops to Germplasm Evaluation Division, NBPGR for chemical analysis. Greater yam: One of the greater yam collections, IC44209 (NBPGR), has been released on the basis of clonal selection as a new variety “INDU” for intercropping in coconut groves by RARS (KAU), Kumarakom, Kottayam, Kerala in 1997 as recommended by XXI Zonal Research & Extension Advisory Committee. Brinjal: Department of Olericulture, College of Horticulture (KAU), Vellanikkara has released a brinjal variety, “Neelima”, F1 hybrid between ‘Surya’ x NIC014090 (NBPGR), through heterosis breeding in 1998 as recommended by the State Seed Sub-committee on Crop Standards. Collection source of NIC014090 (NBPGR): NA at this regional station. Okra (Red); Department of Olericulture, College of Horticulture (KAU), Vellanikkara has released a new variety of red okra namely, “ARUNA” based on pure line selection from the original collection, IC218870 (NBPGR) in 2000 as recommended by the State Seed Sub-committee on Crop Standards. Okra : Department of Olericulture, College of Horticulture (KAU), Vellanikkara has released a new variety of okra namely, “SALKEERTHI” based on re selection from the original collection, IC470862 (NBPGR) in 2000 as recommended by the State Seed Sub-committee on Crop Standards. Vegetable cow pea: Department of Olericulture, College of Horticulture (KAU), Vellanikkara has released a vegetable cowpea variety, “Kairali”, on the basis of pure line selection from IC045415 (NBPGR) in 2000 as recommended by the State Seed Sub-committee on Crop Standards. Malabar tamarind (Garcinia cambogia), IC244100-2 (INGR No. 04061) and IC244111-1 (INGR No. 04062) are early bearing (6 and 7 years after transplanting, respectively). Kokum (Garcinia indica), IC136687-3 (INGR No.04063) is high yielding in number of fruits (2898 per year) were registered as genetic stocks. Dioscorea pubera - IC202382 (INGR No.08061) Source of Diosgenin (1220 µg/g dry weight in tuber) in 2008. Dioscorea spicata - IC202383 (INGR No.08062) Source of Diosgenin (305 µg/g dry weight in tuber) in 2008. Dioscorea hispida - IC202370 (INGR No.08063) Source of Diosgenin (57 µg/g dry weight in tuber) in 2008. Dioscorea hamiltonii - IC202328 (INGR No.08064) Source of Diosgenin (3µg/g dry weight in tuber) in 2008. As a part of PGR awareness generation, 4 biodiversity fairs including two in tribal areas, 5 grass-root level trainings including 2 trainings especially for women farmers were conducted. Three orientation trainings and 2 general training with special emphasis on wild relatives were also conducted for the co-operating centres and SAUs under NATP-PB. PGR conservation awareness was generated among the farming community in Kerala through 5 grass-root level trainings covering 3 districts benefiting 372 male and 312 women farmers and among college students through biodiversity fairs and seminars conducted in 2 colleges benefiting 4335 students. Three on job-short training under HRD on PGR management under NATP in ToE mode was conducted and 10 scientists from SAUs were benefited. Tissue culture training was imparted to 9 M. Sc. students. Drs. Z. Abraham and N.K. 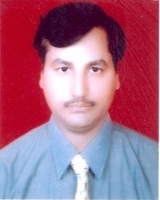 Dwivedi were selected as fellow of Indian Society of Plant Genetic Resources in 2010 and 2012 respectively. Dr. Z Abraham is member of Research Advisory Council (RAC) of Forestry Research Institute (ICFRE), Coimbatore, Tamil Nadu.